General Purpose Capacitor Used for blocking, bypass, De-Coupling and smoothing applications. For some these ARE the Orange drops that have the tone, The orange drop hype probably started with these as they are used in some Dumble and Trainwreck amps. 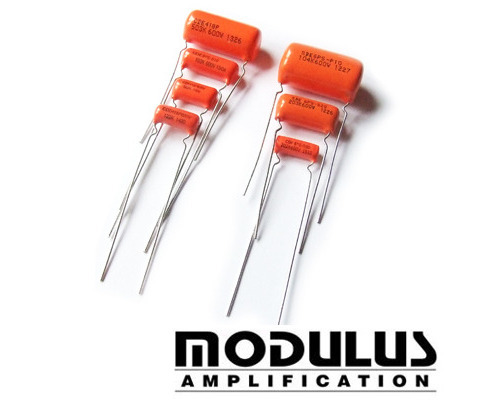 Smoother than the polyprop orange drops, they work well in both clean and distortion heavy amps. According to Cornell Dubilier the 418P and 6PS caps are essentially the same.